The next stop on our journey was more of a Hajj than anything else. 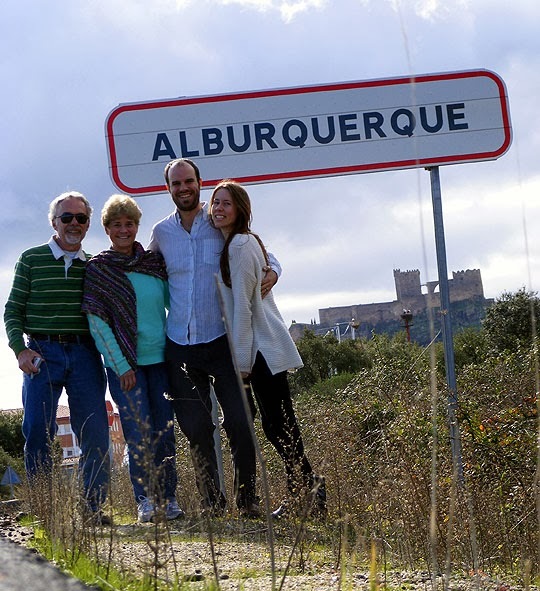 When we had decided on visiting Spain, Andrew had looked up where Albuquerque's namesake (Alburquerque, notice the extra 'r') was in Spain. It wasn't very close to Madrid, but if we decided to go west, it could definitely be fit into the trip. Since we did go west, it was a must stop. 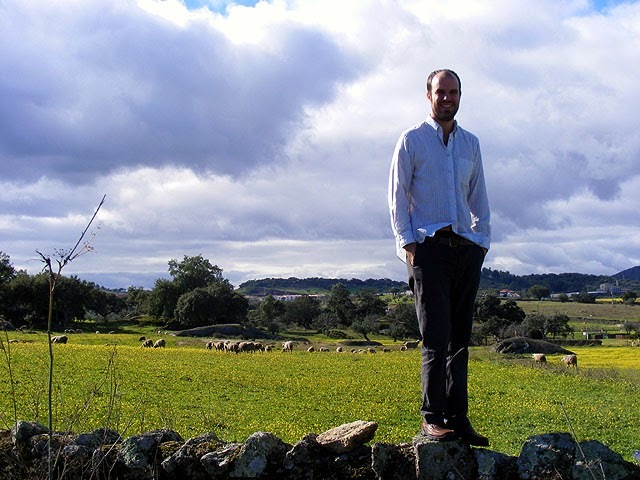 We had no idea what to expect and as we approached, we were startled to see that a giant castled loomed over the shepherding village. 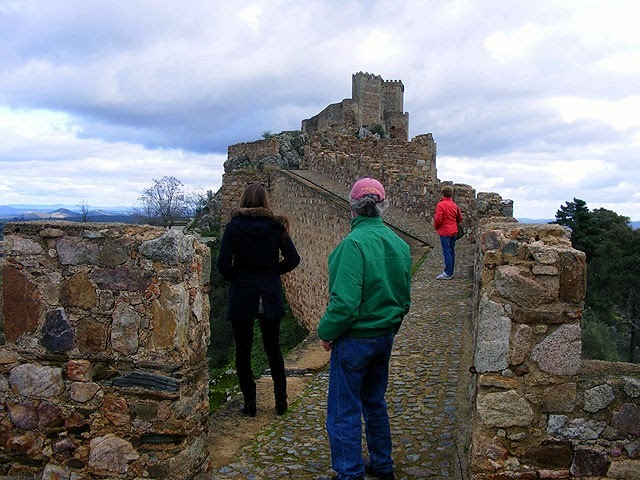 We knew we were close to the Spain / Portugal border but as we came to find out, the castle in Alburquerque played an important role in the border wars between the two Iberian powerhouses. 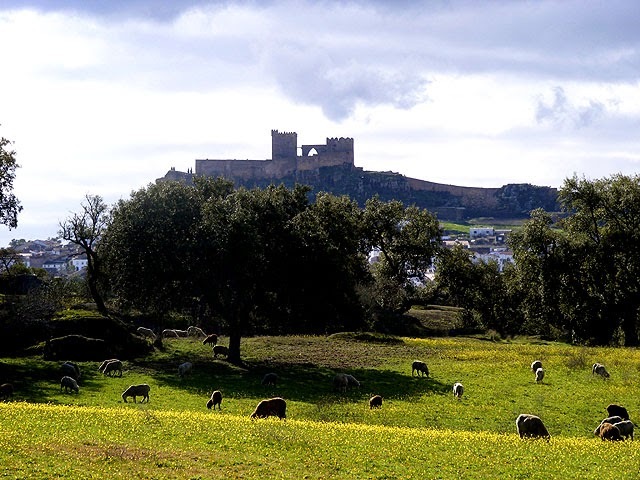 A view of the castle as we approached the city. And also, sheep. Sheep are even on the Alburquerque Coat of Arms. Along with another Strawberry tree, which we still don't believe exist. 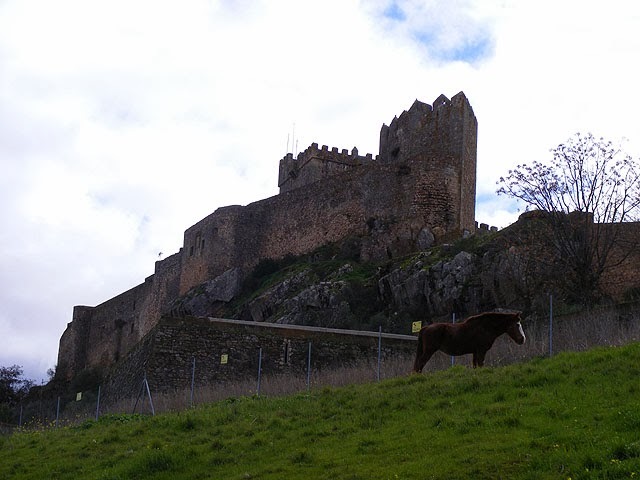 The castle and its horse guardian. 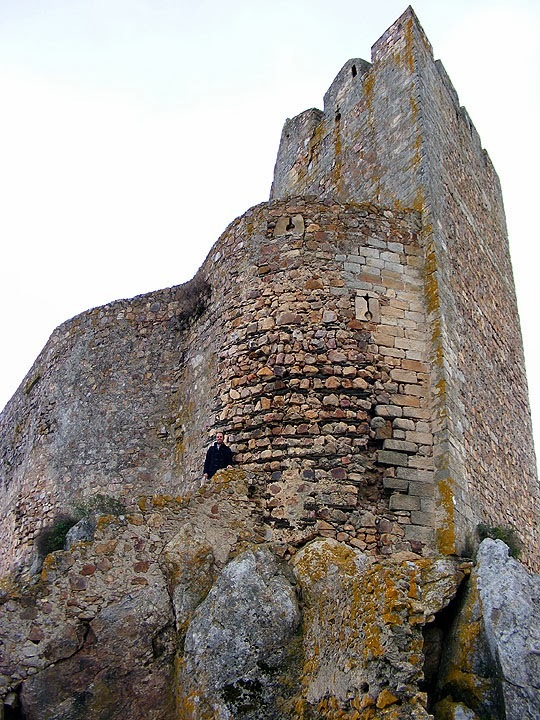 After driving through the town a bit, we finally ended up just outside the old wall that surrounded the castle. We got out and tried to see if we could get inside the bugger - it felt like our birthright as Albuquerque citizens. Unfortunately for us, it was closed for restorations, but that didn't stop us from scaling the wall and storming the castle... at least as much as we could. 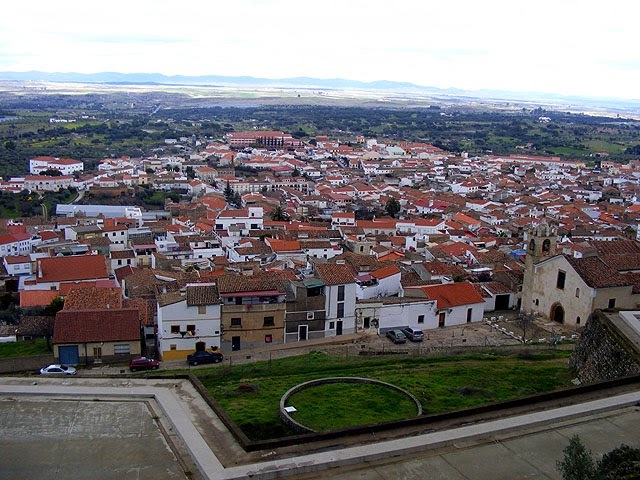 The castle really was on the highest point in the region and actually allowed us to look into Portugal. Andrew hoped to see Ronaldo waving back, but no luck. We also had a great view of the city and it almost felt like standing on Sandia Peak and gazing down. Is that the First National Bank building I see?